Our team of electrical contractors in Tampa, FL is dedicated to your complete satisfaction. 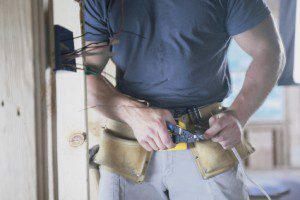 Installations and Upgrades – When it comes to installing new outlets, electrical panels, or any other electrical system with complex wiring, you can rest assured that our team of contractors will do the job right. Diagnostic and Repair – Diagnosing an electrical issue properly can be hard to do, and in some situations, it can be dangerous. Luckily, our team knows how to inspect and repair any electrical system successfully and efficiently. System Maintenance – Electrical codes are constantly changing. If you want to make sure that your home or business’ electrical systems are safe and up to code, we are here to help. 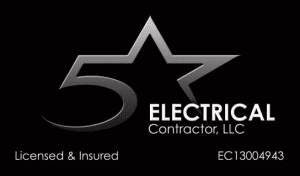 At 5 Star Electrical LLC, our team of electrical contractors is dedicated to your complete satisfaction. Regardless of how simple or complex the job you present to us is, we will pay attention to every detail to ensure that your electrical needs are met in a safe and affordable manner. The next time you need assistance with an electrical repair, installation, or upgrade, or you simply need someone to help maintain your home or business’ electrical system, please don’t hesitate to reach out to us. We are eager to earn your business and help you with whatever electrical problem you may run into.